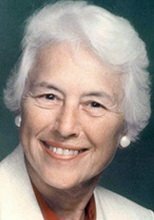 CEDAR FALLS — Phyllis T. Glenn Anderson, 94, of Cedar Falls, died Tuesday, Sept. 7, at Western Home Communities’ Elizabeth E. Martin Health Center of natural causes. She was born Sept. 18, 1915, in Oskaloosa, daughter of William Neil and Ora Shum Turner. She married Lewis E. Glenn on Oct. 29, 1938, in Des Moines. He died July 24, 1994. She married Merle Anderson on Nov. 30, 1996, in Cedar Falls. He died Sept. 25, 2003. Mrs. Anderson was a graduate of Clarinda High School and Clarinda Junior College. She was a secretary at First Presbyterian Church, the University of Northern Iowa and at local physicians’ offices. She was a member of First Presbyterian Church and PEO Chapter KL. Survived by: a son, Rick (Debbie) Glenn of Cedar Falls; a grandson, Matthew Glenn of Cedar Falls; nine stepgrandchildren; and three stepgreat-grandchildren. Preceded in death by: a daughter, Jean Glenn; a brother, James Turner; and her stepfather, Charles Hutchings. Services: 10:30 a.m. Tuesday at First Presbyterian Church, with inurnment in Fairview Cemetery, both in Cedar Falls. Memorials: may be directed to the Cedar Bend Humane Society, the Western Home Communities or First Presbyterian Church, Cedar Falls. Dahl-Van Hove-Schoof Funeral Home is in charge of arrangements.